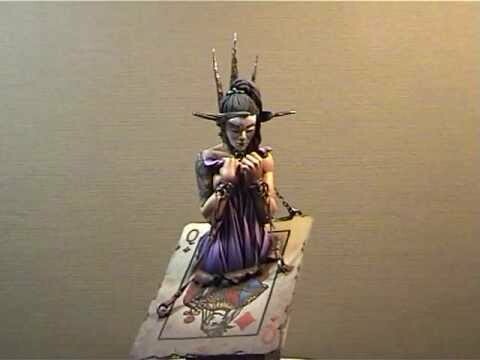 The third bust in a series inspired by characters from a traditional deck of playing cards - Four figures sitting on top of the King of Hearts, the Queen of Diamonds, the Jack of Clubs and the Ace of Spades. The queen, monarch or sovereign carries a heavy burden and appealing as the crown might seem it can be the tool of your demise. This once powerful oriental queen is now in shackles... Her crown, instead of being a symbol of her power, is actually an instrument of her torment.